Christmas is just a couple days away, and these handcrafted holiday decorations would make charming eco-friendly gifts. Called Pressed Pets, these adorable ornaments are made entirely from pressed recycled paper molded into three different figures – an owl, a fox, and a pig. Like creative characters from a wintery fairytale, the recycled paper ornaments would make fantastic additions to any green Christmas tree. 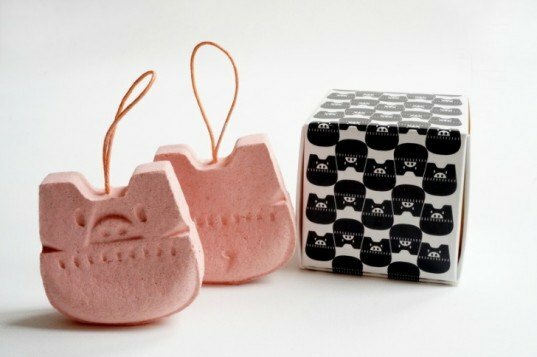 Pressed Pets started last year in Budapest, Hungary, when the project launched with a series of owls designed and produced by Marianna Balázs and Veronica Szalai. Each of the playful ornaments is hand made by pressing the recycled paper pulp into original textures and shapes. They are then finished with artistic detail, turning each one into a character of their own, and dyed or colored to make the range a whole mix of unique figures. Christmas is just a couple days away, and these handcrafted holiday decorations would make charming eco-friendly gifts. The animal shaped ornaments are dubbed Pressed Pets and are created entirely from pressed recycled paper molded into three different figures—an owl, a fox, and a pig. They look like creative characters from a wintery fairytale and would make fantastic additions to a dazzling green Christmas tree. Pressed Pets started last year in Budapest, Hungary, when the project launched with a series of owls designed and produced with Marianna Balázs and Veronica Szalai. 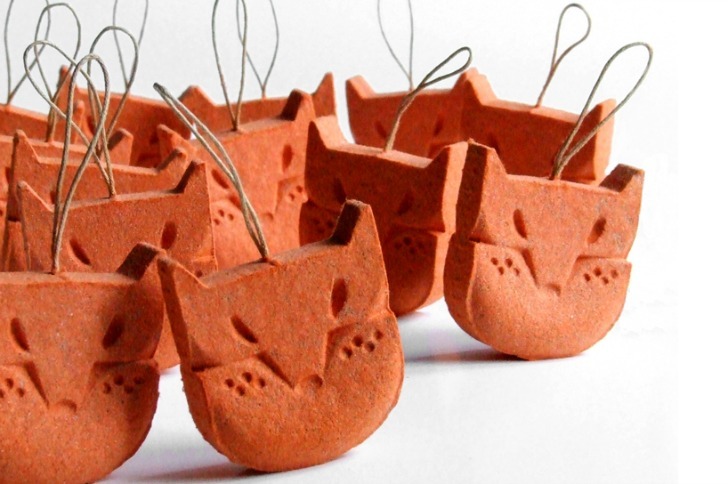 Each of the playful ornaments is hand made by pressing the recycled paper pulp into original textures and shapes. They are then finished with artistic detail, turning each one into a character of their own, and dyed or colored to make the range a whole mix of unique figures.